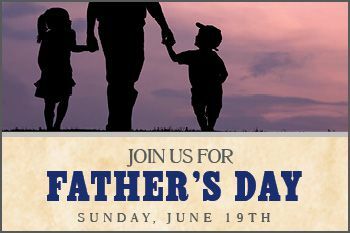 Celebrate Dad with family and friends at our Father's Day Buffet! - Grilled Game Sausage and much more! *Price includes one ice-cold glass of beer for Dads 21 and older. While supplies last. Advance deposits required to secure reservation. Reservation cancellations must be made 24 hours in advance or the advance deposit amount of $10 per person will be charged. Regular dining room menu will not be available.